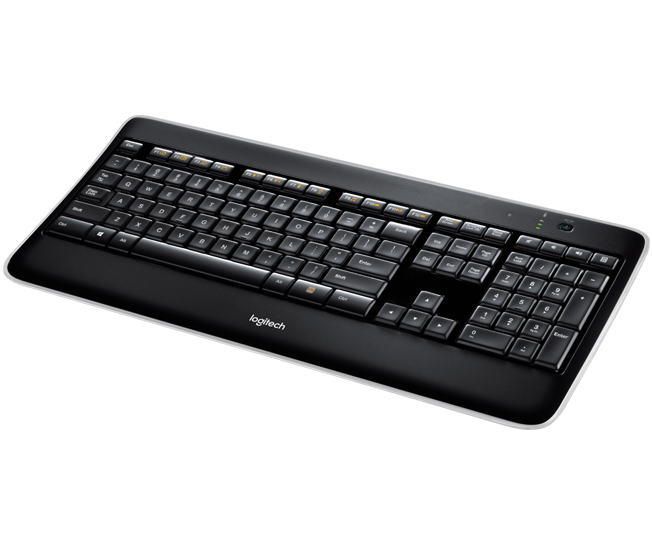 You can work or play anytime with laser-etched, backlit keys that are bright enough to let you type in the dark. Your desk is about to get sleeker thanks to the thin profile, clear edge, and streamlined, wireless design. 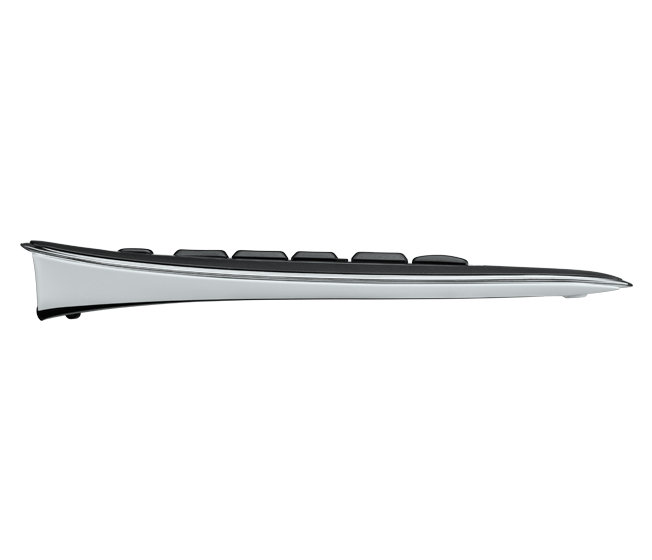 Every stroke you make is comfortable, fluid, and whisper-quiet with the PerfectStroke™ key system. You pop the tiny Logitech Unifying receiver in your notebook and leave it there. You can even add more devices. Plug it. Forget it. Add to it. 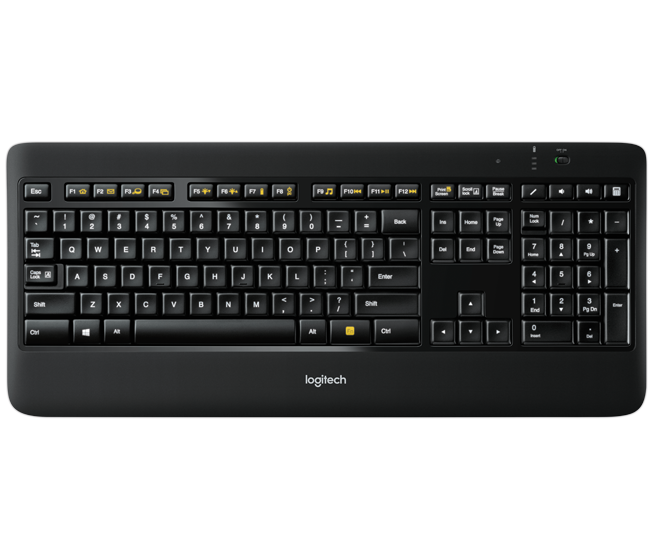 Learn more about the Logitech Unifying receiver. You can type easily—even in the dark—with brightly backlit keys that provide precise illumination. Only the characters are illuminated, so you can see just what you need to see without distraction. 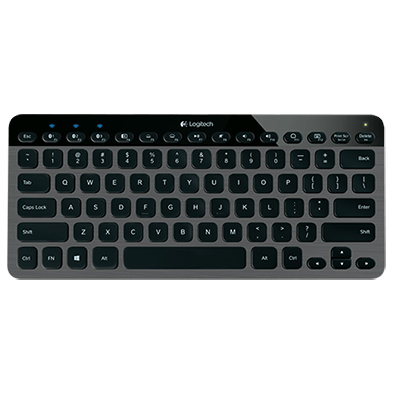 The keyboard automatically adjusts the backlighting to suit the lighting conditions. Or you can adjust it the way you like it with the press of a button. Sensors detect your hands as they approach the keyboard to turn the backlight on and off. 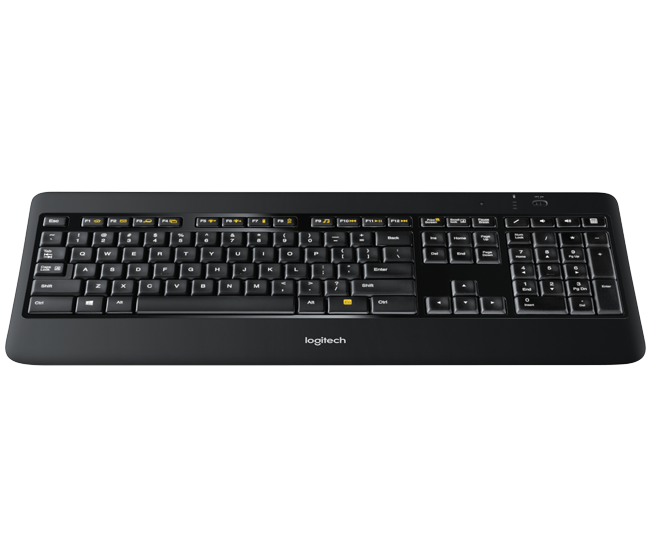 The PerfectStroke key system distributes typing force evenly across key surfaces, making every keystroke comfortable, fluid, and whisper-quiet. Durable concave keys position your fingers properly, and their softly rounded edges invite your fingertips to glide from key to key, hour after hour. With sleek lines, a clear edge, and low-profile keys, the keyboard adds style to your workspace—whether you’ve got a laptop or desktop. So you can work or play in more places—like your comfy couch—the long-range wireless connection virtually eliminates delays, dropouts, and interference. You can store your keyboard standing up to free up space on your desk. An on/off switch helps you go longer between charges, while power indicator lights eliminate surprises. You simply plug the wireless receiver into a USB port on your desktop PC or laptop for a fast, reliable connection right out of the box. 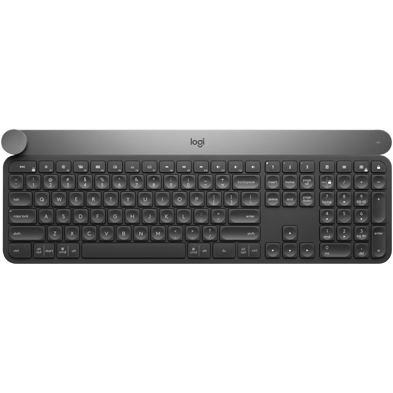 All the keys are right where you’re used to so you can type quickly and comfortably. Internet access required for software download. Software required for connecting additional devices with Unifying receiver. Software available for download here. Allow three to six hours for full charge. Actual battery life will vary with use, settings and environmental conditions. Rechargeable batteries have a limited number of charge cycles.